Despite what some now-defunct businesses might have you believe, Amazon didn’t sound the death knell for other members of the ecommerce world when it assumed its dominant position atop the retail world. ManageByStats This Week - Issue 1824 “Information for the informed Amazon seller.” ManageByStats This Week covers a selection of industry and Amazon news, along with updates, tips and tricks for ManageByStats. ManageByStats This Week - Issue 1823 “Information for the informed Amazon seller.” ManageByStats This Week covers a selection of industry and Amazon news, along with updates, tips and tricks for ManageByStats. ManageByStats This Week - Issue 1822 “Information for the informed Amazon seller” ManageByStats This Week covers a selection of industry and Amazon news, along with updates, tips and tricks for ManageByStats. 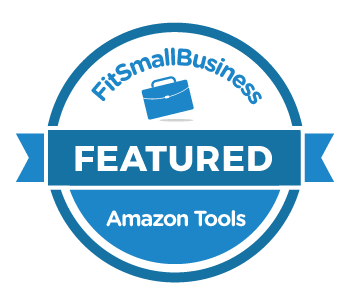 ManageByStats This Week - Issue 1821 “Information for the informed Amazon seller” ManageByStats This Week covers a selection of industry and Amazon news, along with updates, tips and tricks for ManageByStats. How To Ensure Your Private Data Isn't Being Used Without Your Permission Ever since the emergence of the internet, hackers have been around to try and steal user data. And while you may assume that password protections and verification codes are protecting your private data, that’s not enough to stop online criminals. The Announcement Philip Jepsen, our CEO here at ManageByStats, has announced that ManageByStats was invited to and has joined the Amazon Marketplace Developer Council. As a member of the Council ManageByStats will provide helpful information to Amazon, which ultimately may be used to further and improve Amazon’s services and offerings for sellers and developers. ManageByStats This Week - Issue 1820 “Information for the informed Amazon seller” ManageByStats This Week covers a selection of industry and Amazon news, along with updates, tips and tricks for ManageByStats. ManageByStats This Week - Issue 1819 “Information for the informed Amazon seller” ManageByStats This Week covers a selection of industry and Amazon news, along with updates, tips and tricks for ManageByStats. ManageByStats This Week - Issue 1818 “Information for the informed Amazon seller” ManageByStats This Week covers a selection of industry and Amazon news, along with updates, tips and tricks for ManageByStats.